Its that time of year when everyone wants to show their loved ones how much they care! 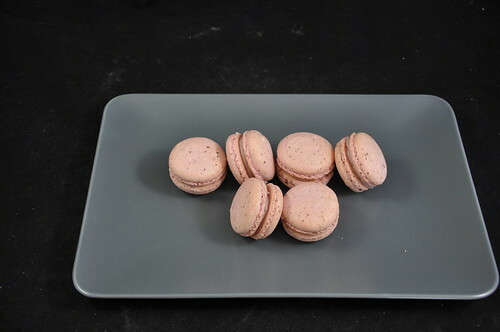 We're very happy to help out with a fun sweet treat to celebrate. 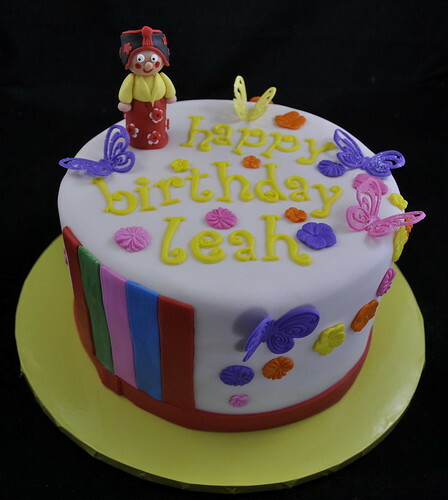 Our 6" cakes make a lovely treat. 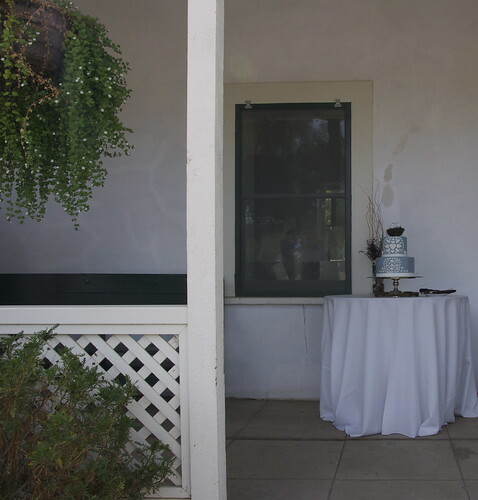 We're happy to make a 'rustic' style cake for you and your loved one or family to share. For simple decor, we have a limited offer of $35. 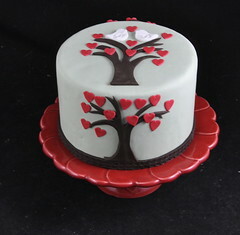 For a more formal looking cake, like this little bird themed cake, we can make these for $45. We are also busy baking cupcakes, how about these delicious raspberry chocolate almond cupcakes with a chocolate ganache topping? 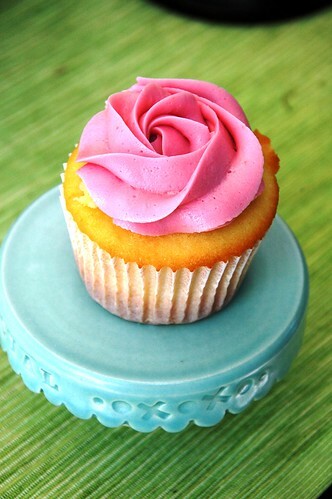 Instead of a dozen red roses, how about half a dozen delicious cupcakes with rose frosting? Or, how about some cookies? 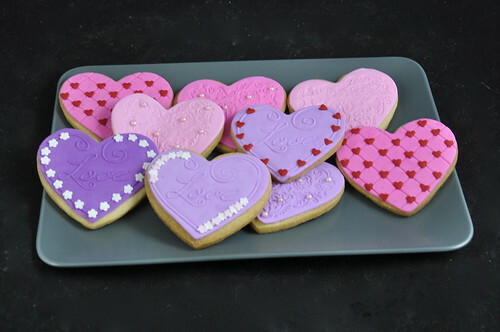 There are these adorable heart shaped sugar cookies for $2.50 each, or we can box up some macarons for your sweetheart, they are $6 for a box of 5. 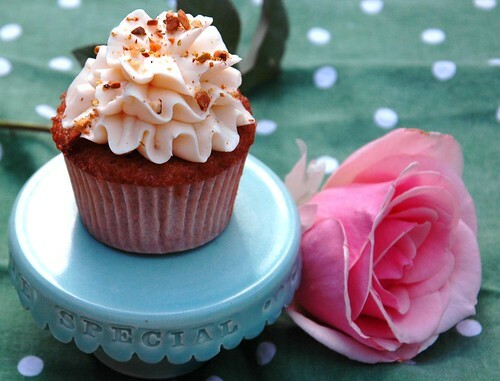 Maybe you have another jennywennycakes treat that you'd like to share with your loved ones? Let us know what you'd like us to make and we'll be happy to help! 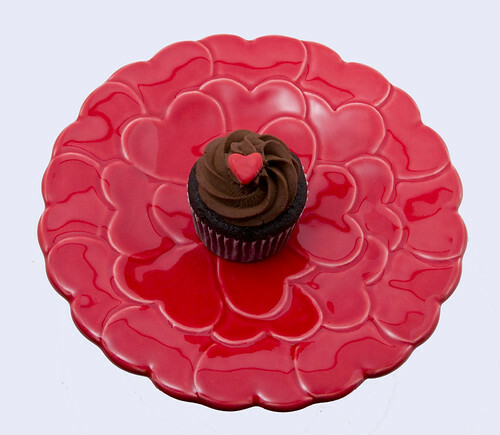 Email us at Jennywennycakes@gmail.com or give us a call at 619-356-0536 to place your order. 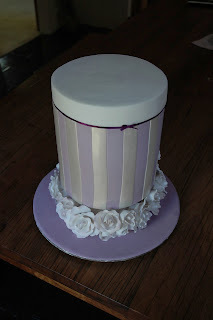 Remember, we are always happy to take orders for birthdays, showers, weddings and other celebrations, we like to have a minimum of 2 weeks notice, and will need full payment ahead. Our usual minimum order is $50. 2012 -cakes of the year! Jennywennycakes has all kinds of fun things going on in 2013, but before that, lets have a look at the fun and games that went on in 2012! The year started with a fun icing smiles cake for Trevor. 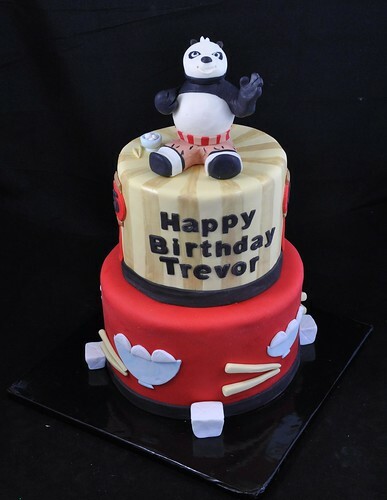 This was a collaboration with Fernanda from CAKE, who made the incredible panda on top. 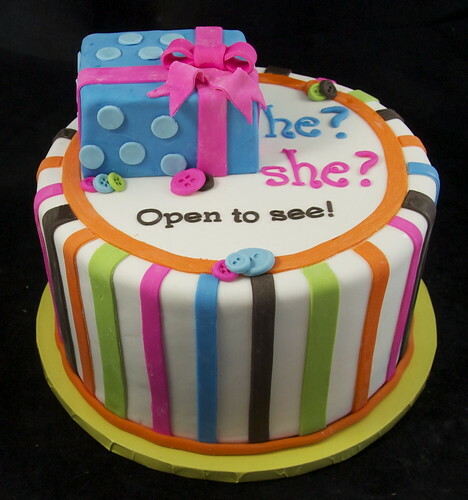 February we had a gender reveal cake to make, this became a trend for the year, I think these will be even more popular in 2013! In march we learned about Korean culture with this first birthday cake. It was very important that the writing not be pink or red, and we made a little character dressed in traditional 1st birthday clothes. 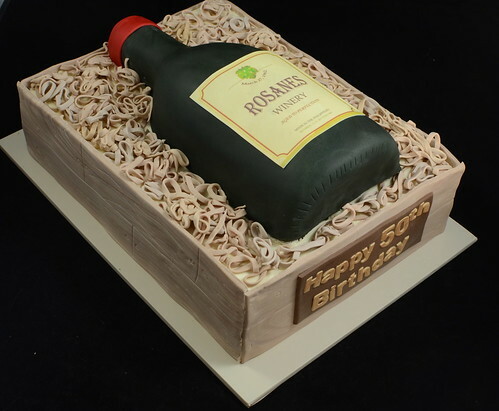 April saw the wine bottle cake, which became another popular design, especially with the custom printed edible label, everything here was edible! 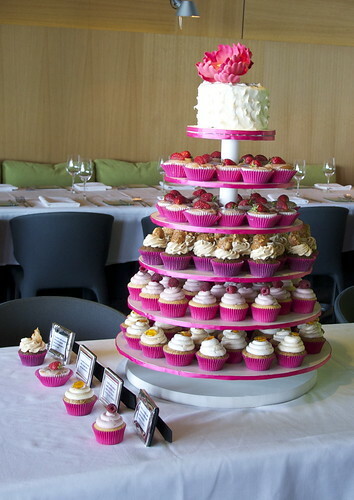 We were honored in May to be asked to provide a cupcake tower for a wedding at Georges at the cove, with perhaps the most delicious flavors combinations chosen by the bride! 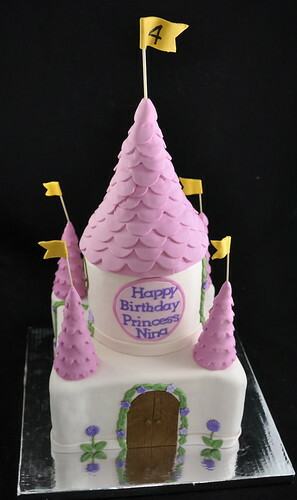 We really enjoyed creating this fun princess castle for Nina, which was delivered to a gymnastics party! 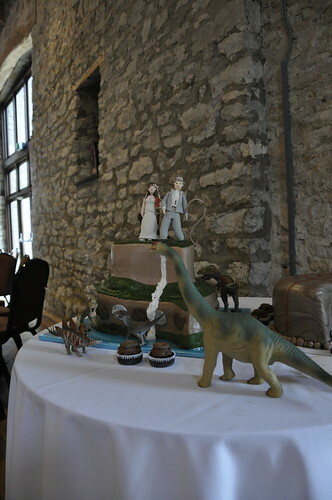 July was a doozy, with Jenny travelling to the UK to create a dinosaur and lost world themed cake complete with a large ammonite groom's cake. In August, Australia beckoned, Jenny attended a fun class with Whimsical in Melbourne, Australia to make this very tall cake. The cake was repurposed for her nieces birthday complete with handmade fishes, painting and an ariel candle! 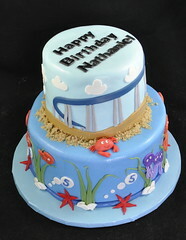 This was a favorite for September, Nathaniel is a big fan of the coronado bridge, so it was fun to create a scene around it with sea creatures and some brown sugar sand! 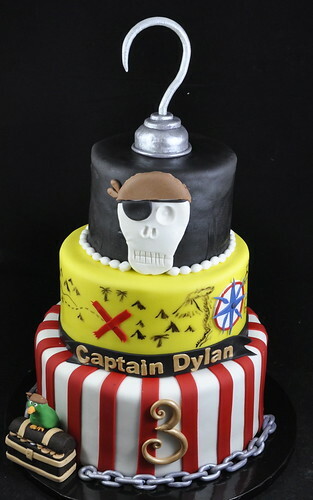 November saw this exciting pirate themed cake, complete with parrot-guarded treasure chest! Everyone loves hello kitty! 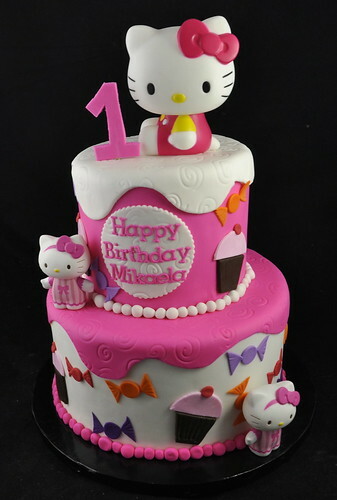 The customer provided a bundle of hello kitty dolls to decorate the cake with along with a candy and cupcake theme. What was your favorite Jennywennycakes cake last year?